EUROPAK company is happy to offer you the service of cutting straight to forms. 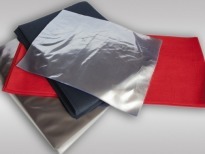 It means that a material from a beam, for example PP non – woven fabric or PVC film, can be divided into ordered size (width). The service allows you to reduce the costs of preparing a material for production. This kind of cutting is mainly used while making trimming or precise cutting material into certain width. 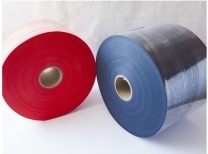 Cutting directly to forms makes it possible to produce PP non – woven fabric or PVC film forms in certain sizes. Then they are used to make e.g. sewed or sealed bags. In the case of those bags exact dimension is extremely important. High-tech equipment and highly – qualified staff ensures the highest quality of service at very good price.